How to safeguard Internet Banking? 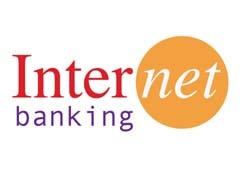 Home » Personal Finance » How to safeguard Internet Banking? Internet banking, e-payment, and online payment these words are very common today. Many people use is extensively but they don’t realize the consequences of unsafe internet banking. E-fraud and Account hacking has become a threat today and is increasing vigorously. These frauds are increasing as people usually ignore certain precaution while doing online transaction we are herewith simple tips on how to safeguard internet banking. Phishing is a technical word used from scam, where frauds send e–mails to you. This e-mail looks authentic, asking for your bank account numbers, passwords and other personal information. Do not reply or disclose any personal information to these e-mails or to click on these types of links. Change your internet banking password frequently and keep your password complicated with mix of alphanumeric and special characters. Longer passwords with combination of letters, numbers are difficult to hack. If possible use your personal computer while you are changing your password. Writing your password in your dairy or saving it in your mobile is not good idea. Rather than writing it somewhere, try to memorize it. If you have logged in to your bank account, never ever live it unattended. Do not forget to sign out and to end the session. Clearing all cache memories and the browser history makes sure of a safer transaction. Most of the bank use Https – secure website where in information from your machine travel to server in encrypted format and not plain text. Make sure that you use website which are https before doing any transaction. Look for the lock icon in address bar. When you hover your mouse over this lock it will tell you that the website which you are using is secure. If you notice any wrong transaction or money is missing in bank account, inform the bank immediately. Chances are there, with the increase in time; your money can get stolen. These days most of the banks give SMS approval system to give added protection to your bank account. Make sure that you get SMSs every time you withdraw cash. In case if you don’t receive SMS, inform your bank immediately and check you balance. If you are travelling user and don’t find time to visit your bank, smartphones are ideal for you. Smart phones are much safer compared to unsafe browsing centers and other such places through which you can see your account balance and mini statements. Never store personal information and password on your smart phone. If your phone is stolen just inform your mobile connection provider to block your number. Make sure you update your antivirus protection regularly for latest virus definition both on your computer and your smart phones. Contact your hardware and software suppliers to ensure you have the latest in security updates. This will help you to be on the safer side and you don’t have to worry about accessing your bank account through internet. « Gold price prediction really works?